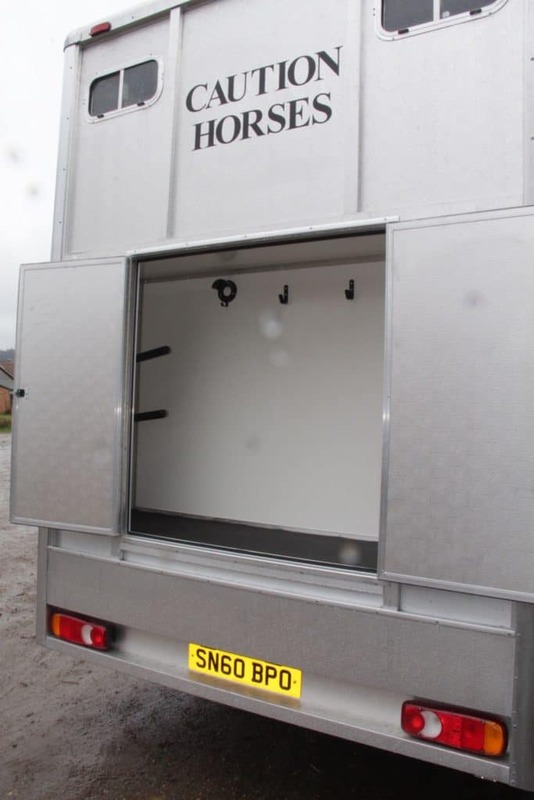 The Trophy Thrifty is a side load, forward facing horse box with good payload able to carry two large horses. As with the Trophy Twin, it is available on a short wheel base (SWB) and long wheel base (LWB). Both come with an unfitted living area and either a full width rear tack locker (LWB) or side external tack locker under the horses head (SWB). By being built slightly differently and having no paint on the exterior, the Trophy Thrifty is a more cost effective version of the Trophy Twin, whilst still maintaining the same dimensions, payload and safety standards. 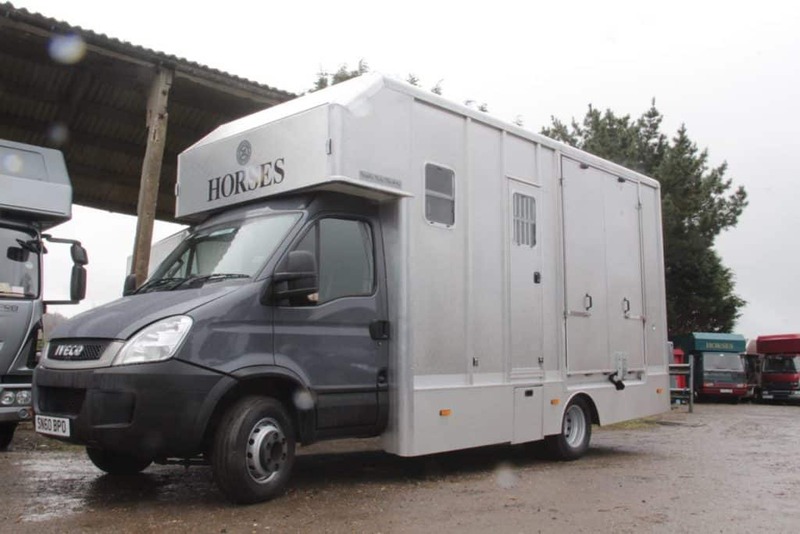 It is particularly suited to those desiring a new horse box where budget is more of a consideration or those needing to travel down small country lanes wishing to avoid scratches on the paintwork. As part of our policy to continually update the product range, we reserve the right to modify any specifications as may prove necessary. We will be pleased to answer any queries on this matter and confirm current specifications. All dimensions and weights are approximate and are intended for guidance only. Excellent service...and brilliant box. Loving driving it! 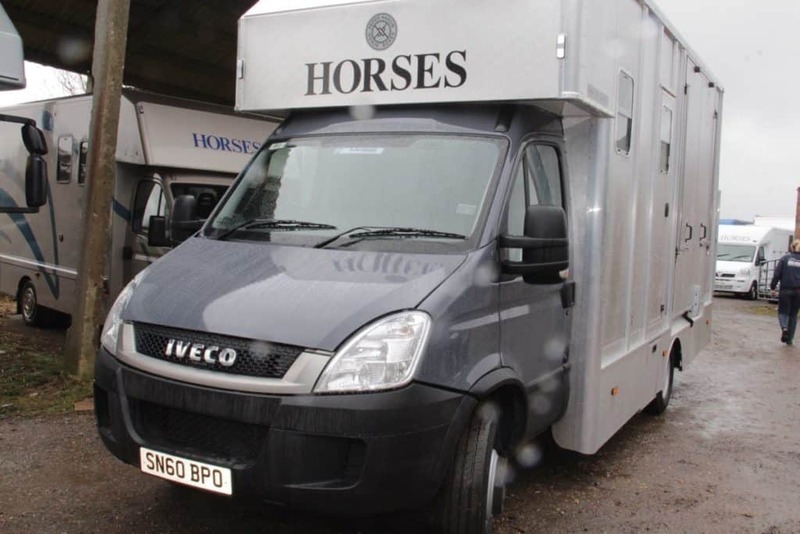 Bought the Trophy Twin Thrifty which is perfect for 2 big horses (17.1 and 16.2) and loads of space for us. Adam and Aaron made it all easy for me. Thanks guys! I just wanted to drop you an email to say how pleased I am with the Trophy Twin Thrifty I had built recently. The build quality is excellent. 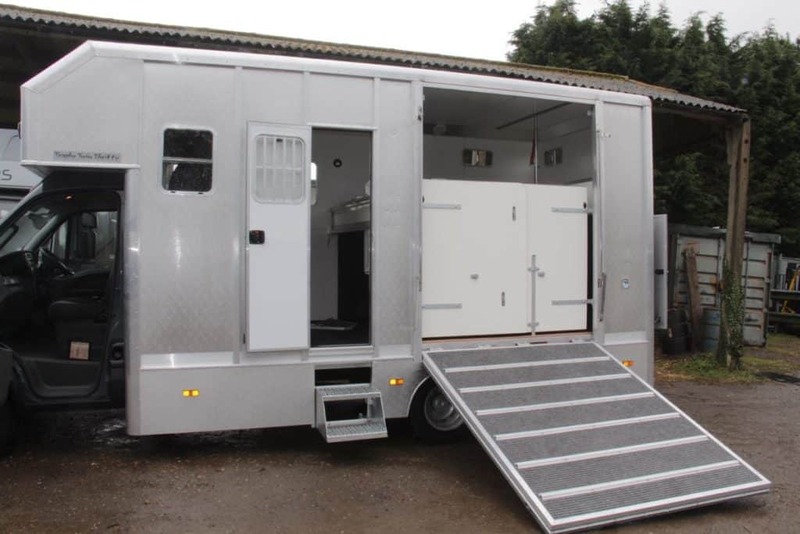 The horse area is constructed to a very high standard with safety and clear consideration. It is light and airy and my horse love travelling in it! Thanks again!